Workers hose water into the underground mixer as the truck empties its contents. EBMUD's service area. 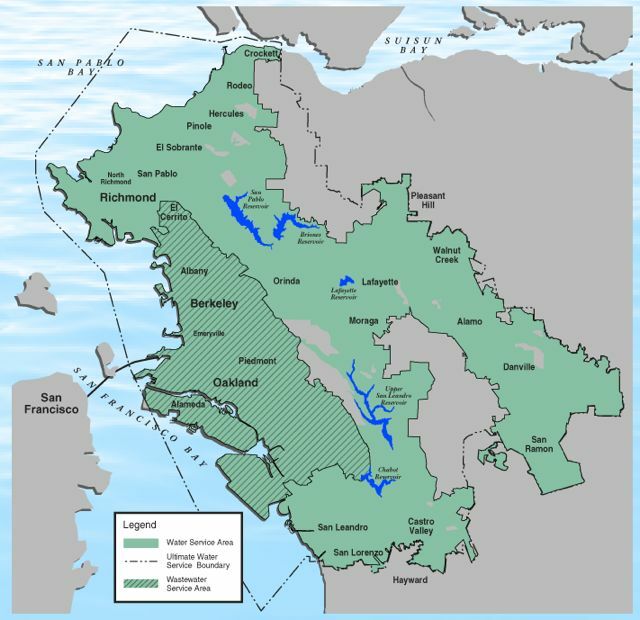 Map courtesy of EBMUD. The EBMUD facility. Photo courtesy of EBMUD. The food scraps getting prepared for digestion. The whole process of turning food scraps into electricity. Drawing courtesy of EBMUD. EBMUD's digesters sitting in a row. One of EBMUD’s massive digesters. The hydraulic truck preparing to dump its contents at EBMUD. The whole process of preparing to digestion to electricity. Drawing courtesy of EBMUD. EBMUD’s digesters sitting in a row. Awesome! 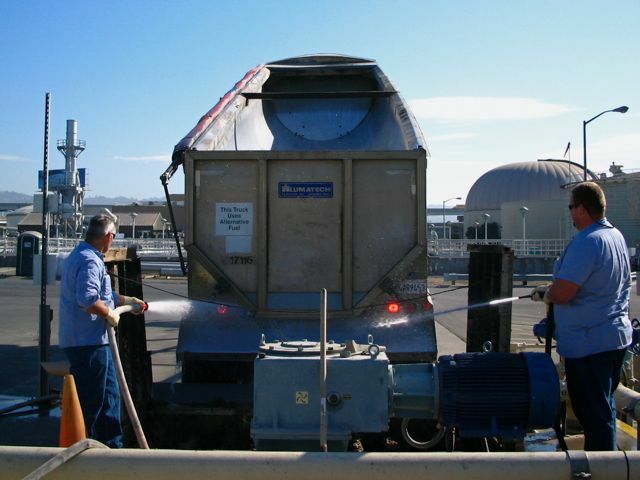 I remember back in the day, 2005 or so when I was at a biodiesel startup, EBMUD gave us some sewage to centrifuge to get the oils out and turn into fuel… but that didn’t go anywhere, mostly because we didn’t have the capacity. Great! I had the opportunity to see some of the things going on at EBMUD. We’re lucky to have them operating in Oakland. Nice to know that this is being done. Back in 1982, one of my relatives had a small scale biodigester on his farm that generated fuel to cook his food and light his house.